Every responsible construction business has two goals: make a profit and limit its negative impact on the environment. The same goes for demolition crews. One of the best ways to protect the environment while offsetting the cost of equipment and labor on a given job is to recycle scrap metal with a local Dallas scrap recycler. Most construction crew leaders know about scrap recycling, but many worry about cost, quality, and time. Here are some of the top things most construction and demolition business owners don’t know about the scrap recycling industry—and some of the ways having this knowledge can benefit you, your team, and our planet. Dallas scrap metal recycling facilities offer huge benefits for small businesses in the Dallas-Fort Worth metro area. No matter what kind of business you own, you probably have some recyclable scrap metal—meaning you can make some extra money while improving the environment. 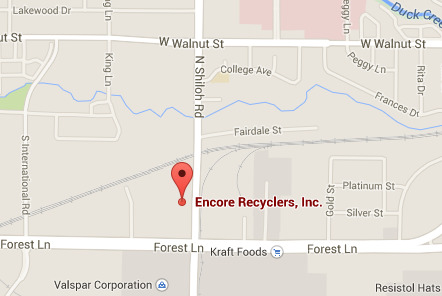 Aluminum can recycling is often the simplest and fastest of the many recycling services offered at Encore. Whether you’re a restaurant or bar owner who goes through thousands of cans a day, or you’d just like to get a bit of extra money for the cans employees use in the break room, recycling aluminum cans is a great way to make extra money for your business quickly.